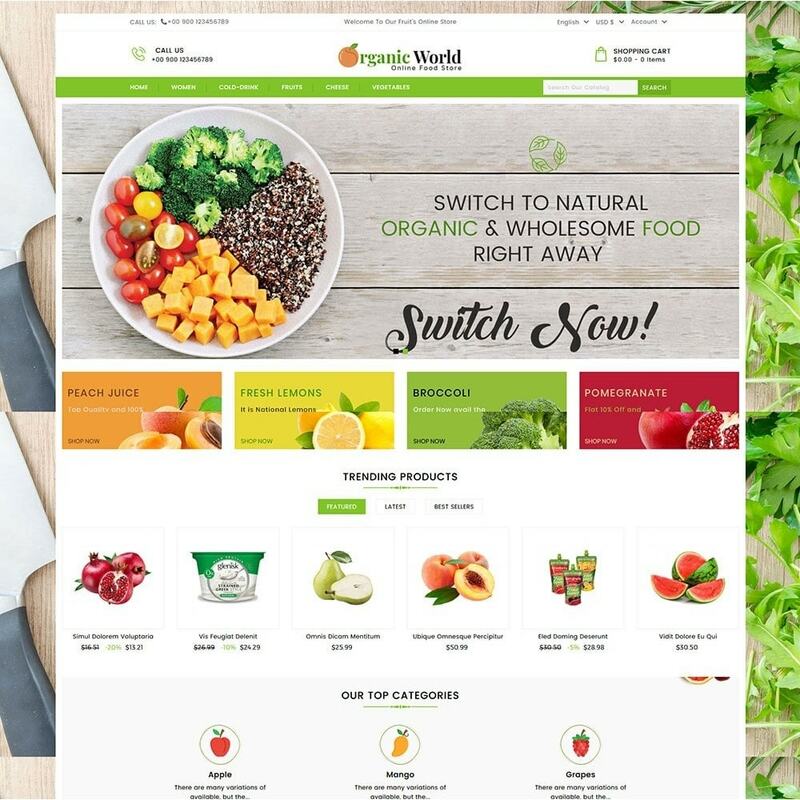 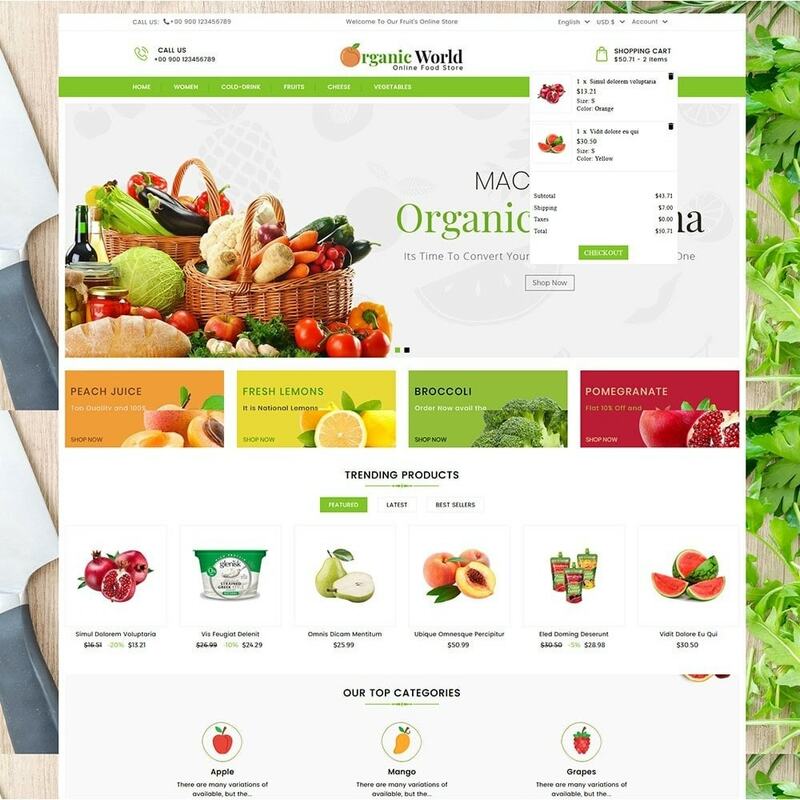 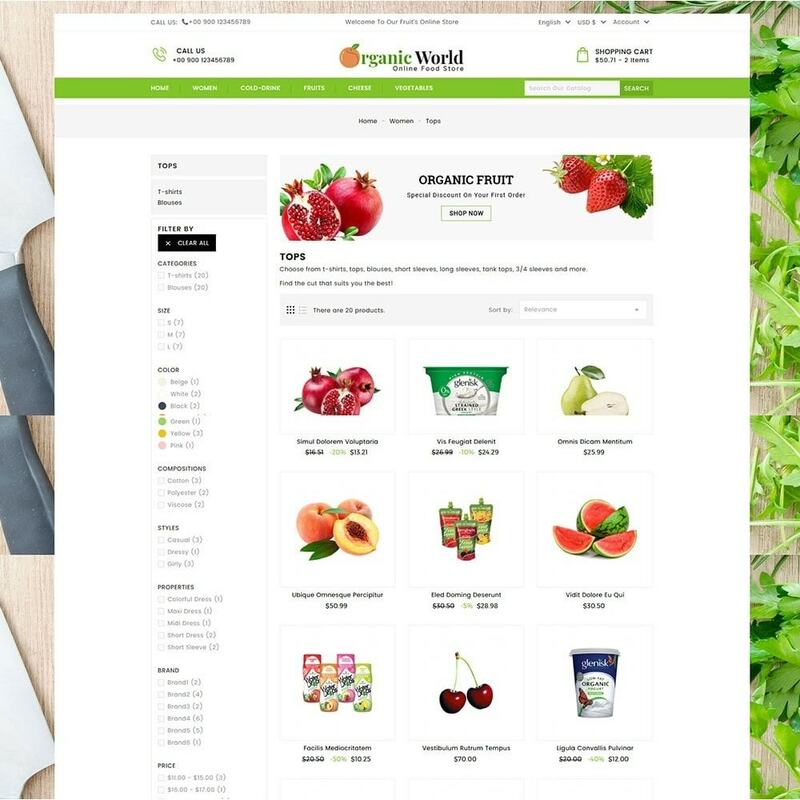 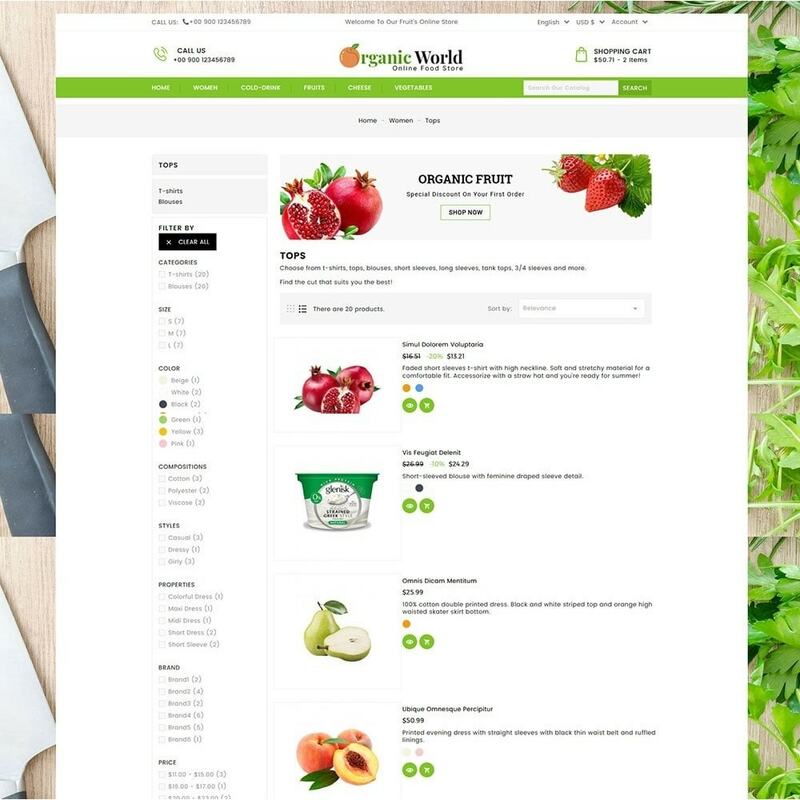 Organic World Food Store Theme is designed for Organic, Grocery, Food, Vegetables, Fruits, Minimal, Modern and multi purpose stores. 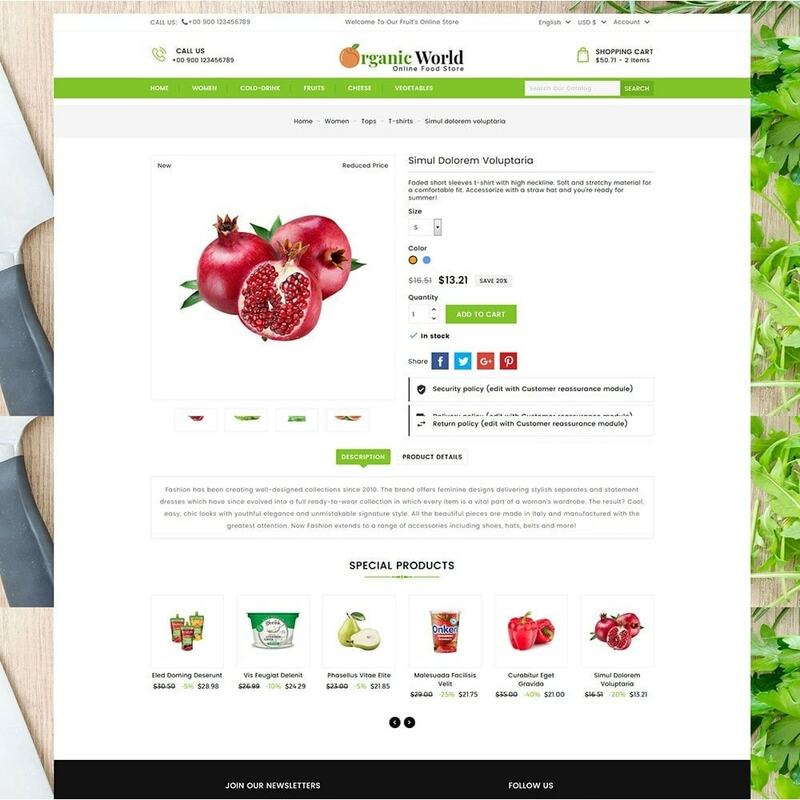 This Theme looks good with great color combination. 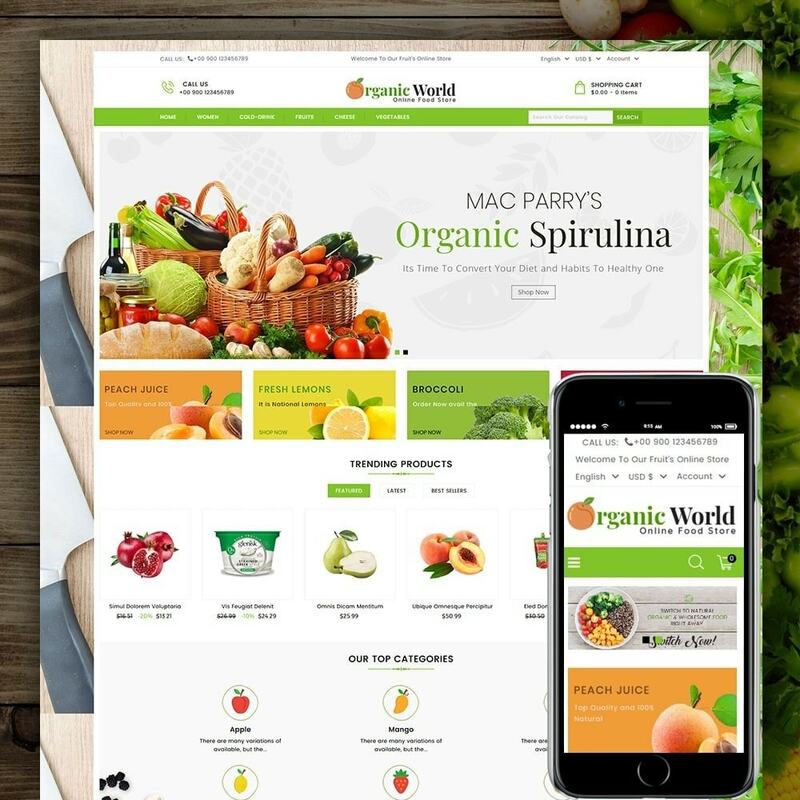 It has a clean and professional look.